Have you ever wanted to draw someone's portrait? This three day introduction to the art of portraiture aims to expand your understanding of the portrait beyond that of a well observed and static reproduction of the human head, by conceiving the human head within the context of portraiture conventions, as an integrated part of the human body and as a vehicle for emotional expression. This course is suitable for both beginners and those with some drawing experience. Cost of life model included in fee. Morning Class – The Structure of the Human Head: Discuss the proportions of the human head and the anatomy of the skull, including the relationship of the head to the neck and upper torso. We will note the importance of initially demarcating the position of the ear (or the external acoustic metus of the skull) when the head is drawn in profile. The features of the face will be seen within the context of conceptualising the head in terms of a simplified overarching egg shape. Afternoon Class – Portraiture and the convention of the open mouth: The model will be asked to breathe through their mouth while posing, allowing the student to convey a sense of the living sitter breathing or about to speak. Morning Class – Foreshortening and the human head: The model will be asked to stand and the student will draw the head as seen from below. The importance of the under planes of the head will be addressed. Afternoon Class – The body in portraiture: This class will begin to integrate the process of perceiving the head as integral to the figure as a whole, both in terms of bodily action and emotional expression within portraiture. We will look at the convention of the waist-high portrait as seen in the works of Leonardo da Vinci and the Venetian painter Titian. The use of geometric shapes to frame the pose, such as the triangle, will be examined. Morning Class – Drawing the passions: We will look at the French painter, Charles le Brun’s understanding of facial expressions and how bodily actions are used to convey emotion. A model with a background in performance will seek to embody a range of emotional states through their facial expressions and bodily actions. The muscular anatomy of the human head as it relates to expression will also be addressed. 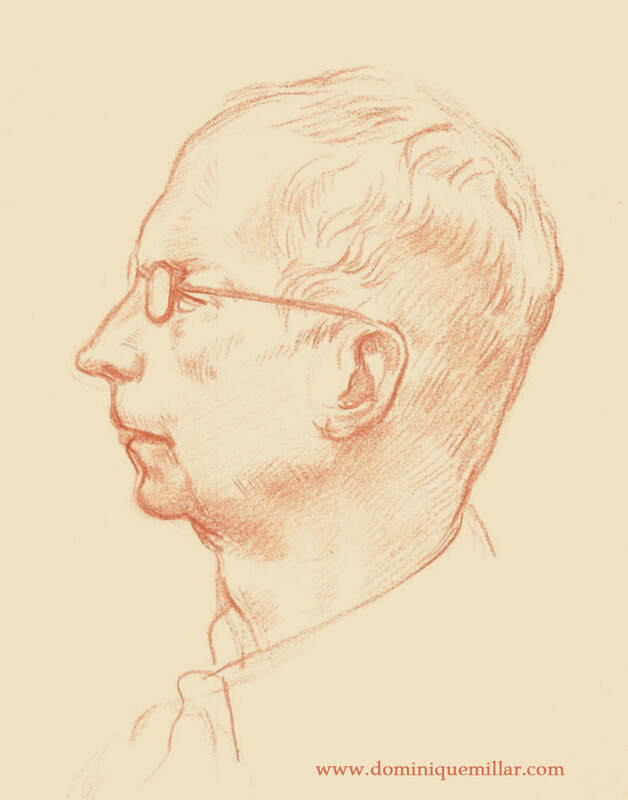 Afternoon Class – The full figure portrait: Looking at portraiture conventions that relate to the figure as a whole, we will consider how the gesture of the whole body is employed to convey the character of the sitter. Gain practical and applicable knowledge of art historical conventions for portraiture.